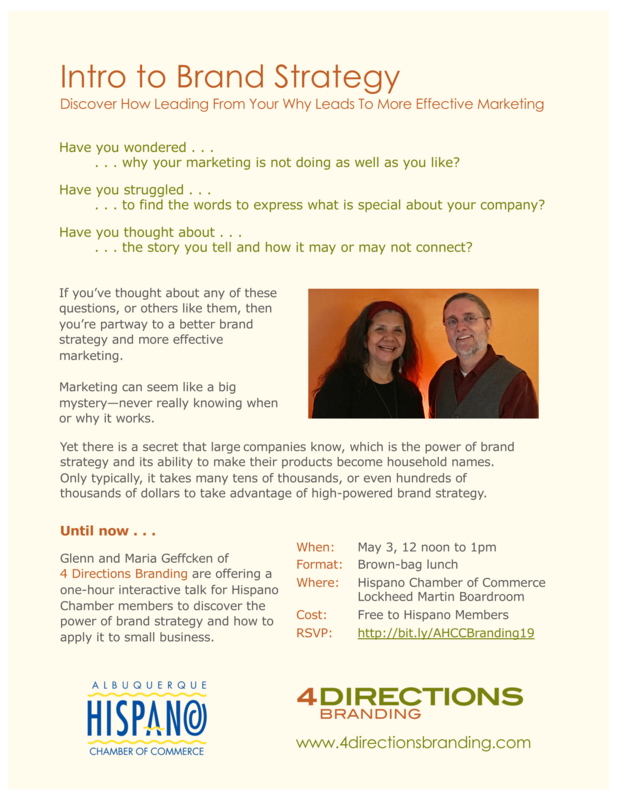 Have you wondered why your marketing is not doing as well as you like? Have you struggled to find the words to express what’s special about your company? Have you thought about the story you tell and how it may or may not connect? If you’ve thought about any of these questions, or others like them, then you’re halfway to a better brand strategy and more effective marketing. Marketing can seem like a big mystery—never really knowing when or why it works. Yet there is a secret that large companies know, which is the power of brand strategy and its ability to make their products become household names. Only typically, it takes many tens of thousands, or even hundreds of thousands of dollars to take advantage of the high-powered brand strategy. 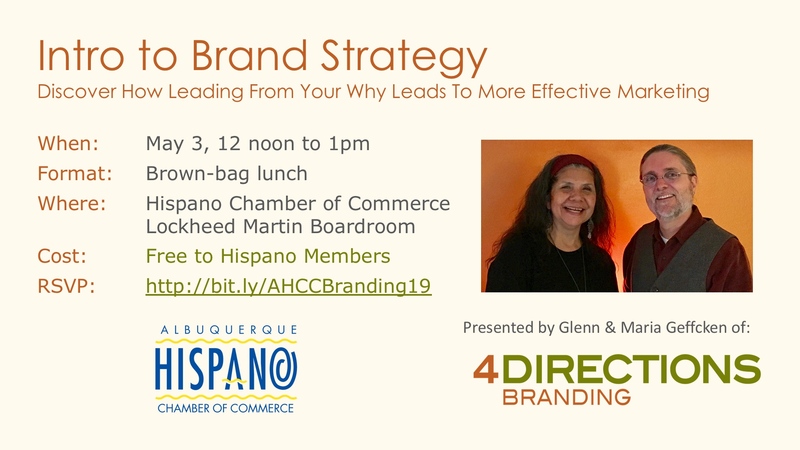 Glenn and Maria Geffcken of 4 Directions Branding are offering a one-hour interactive talk for Hispano Chamber members to discover the power of brand strategy and how to apply it to small business.